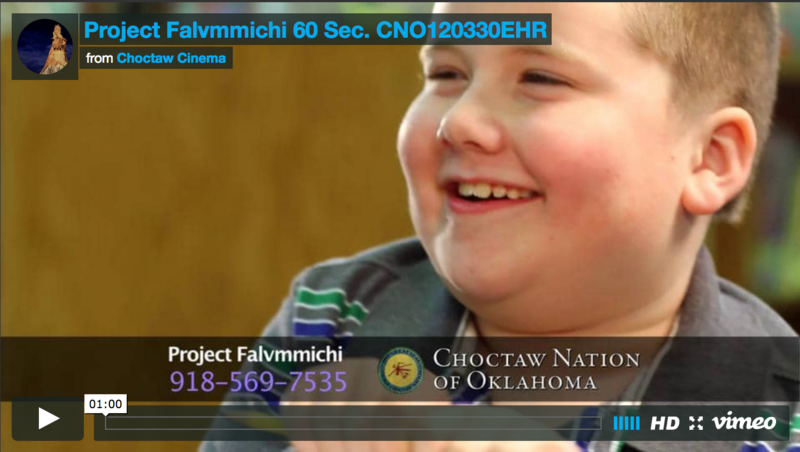 This one-minute video provides an overview of the Choctaw Nation of Oklahoma's Project Falvmmichi, which won an Honoring Nations award from the Harvard Project on American Indian Economic Development in 2008. "Project Falvmmichi 60." Choctaw Cinema. Choctaw Nation of Oklahoma. Durant, Oklahoma. 2012. Video. (http://www.choctawcinema.com/?p=775 , accessed July 2, 2012). Choctaw Nation Healthy Lifestyles Program Director Joyce Wells describes how a 16-year-old Choctaw citizen transformed her idea and passion into a comprehensive education and mentoring program that seeks to prevent domestic violence in Choctaw communities. Rae Nell Vaughn: So What's So Important About Tribal Courts?